I myself do not have balls, but from what I’ve been told, they are very sensitive. More sensitive than, say, the bicep. If your biceps burn after a grueling free weight session, it’s an uncomfortable, albeit manageable sensation. You can go about your day without doubling over in pain. But achy balls are not nearly as manageable. From what I’ve gathered, a gentle kick to the nuts can be debilitating. (Again, I do not have nads, so I’m basing all of this off of anecdotal evidence.) Achey balls sound like some kind of fresh hell. The Grammy Award-winning band’s name doesn’t cause me any pain (as far as I'm concerned, it seems like a perfectly good band name! ), but this isn’t about me. This is about the band’s collective ball-ache. Mumford & Sons shouldn't be forced to endure this ball-ache. 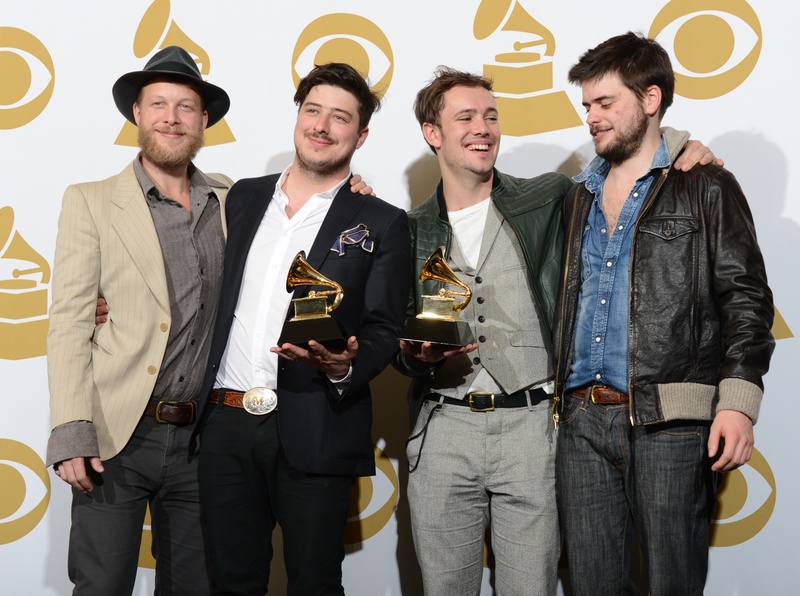 Marcus says they've missed their chance to switch things up; the band has established itself as Mumford & Sons. If they suddenly started going by Peter Peter Pumpkin Eater (don't ask me why that was the first thing that popped into my brain, it just was), there'd be a lot of "wait, who?" It'd almost be like starting over. However, I think if they went with something close to the original band name, it'd circumvent the "wait, who?" issue. The second anyone said the new name out loud, that person would be like, "'Muggles & Tums' sounds a lot like 'Mumford & Sons.' OHHHH RIGHT. That's because it is Mumford & Sons. I love 'I Will Wait' by Muggles & Tums!" Foolproof strategy. See? There are already so many great, non-ball-achy options to choose from, and I've only just begun (& Sons)!